Diabetes is a condition where the sugar (glucose) in the body is too high. This causes damage to the body’s organs over time, including the eyes. It is estimated that 7.8% of the population of the United States has diabetes. Diabetes is more common with advancing age, with almost 25% of the population over age 60 affected. 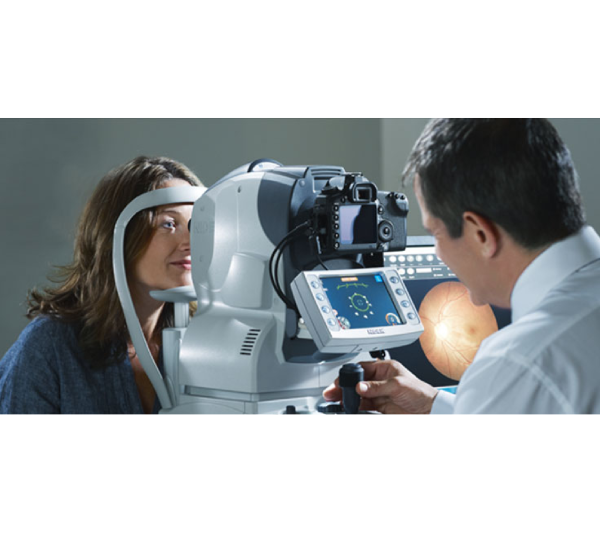 Dr. Kozlow and his staff at Kozlow Eye in Dearborn are experienced in screening and treatment of diabetic eye conditions. have their eyes screened yearly. A screening exam for diabetes must include dilation of the pupil (drops are placed in the eye to make the pupil larger) so that the retina can be thoroughly examined. If diabetic changes are found, Dr. Kozlow may recommend more frequent examinations, further testing, or referral to a retina specialist. The retina is a thin layer of tissue that lines the back of the eye. Similar to the film in a camera, when light hits the retina it is translated into electrical signals that are sent to the brain, where the image of what we see is formed. When diabetic eye disease is present, common findings are bleeding and swelling in the retina. In early stages of the disease no symptoms are present, but screening eye examinations can allow for detection and treatment before sight-threatening changes develop. 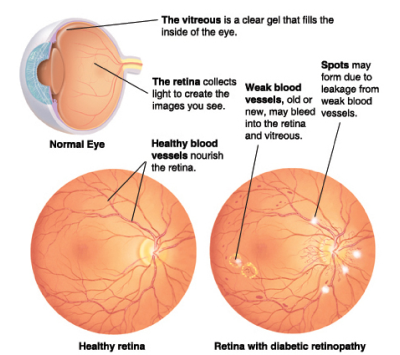 In more advanced diabetic eye disease, the eye can become filled with blood and the retina can become detached. This causes serious visual loss if left untreated. Treatments for diabetic eye disease include laser to seal off leaking blood vessels, which reduces swelling in the macula, and injection of medications into the eye to prevent growth of the abnormal vessels that cause bleeding.